Being bereaved can leave you with a whole range of emotions. You may feel paralyzed; you may feel angry; you will almost certainly feel sad. However it affects you it will be difficult, and you will need help, which is precisely what this book offers: simple, compassionate help. 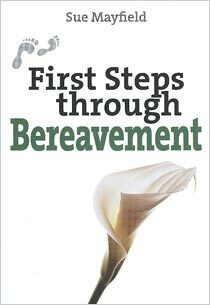 From the shock of discovering death to the practicalities of life afterwards, First Steps through Bereavement is an indispensable guide through the process of mourning a loved one. With useful sections on funerals, continuing to function, staying healthy, dealing with emotions, how to remember your love one, and more, it will help you negotiate your way through grief. It also includes invaluable advice for close friends and relatives supporting others, including children who have been bereaved.